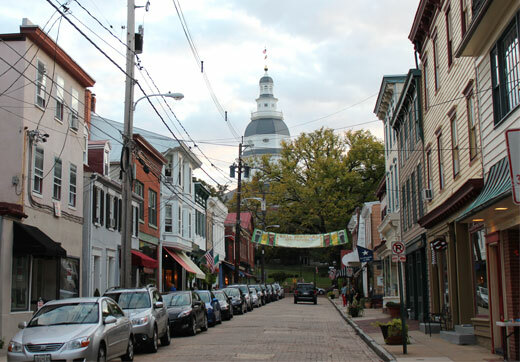 Relive history with a stroll along Maryland Avenue from the Maryland State House to the gate of the United States Naval Academy, a historic path that was often frequented by Thomas Jefferson. Sit on the steps of the Chase Lloyd House where Jefferson once sketched, or visit the local book store where Jefferson spent hours reading and studying. Also located on the three-block path are world-class custom jewelers, antique shops, galleries, and restaurants.